Rhett House Inn’s Sesquicentennial Birthday Celebration! 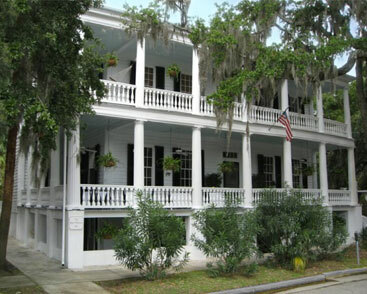 The Rhett House Inn celebrates it Sesquicentennial in 2015—150 years as a beloved historic Inn serving visitors to Beaufort SC. In 1865 after Union troops who had occupied the building retreated at the close of the Civil War, the William Rhett house became an Inn for the first time and operated that way for the rest of the 19th century and into the 20th. Manhattanites and former fashion designer Marianne and Steve Harrison have been the proud owners for the past 28 years and the Inn has been awarded the coveted AAA Four Diamond award for the past 26 of those years. Are just a few of the rave reviews you will see about us on Trip Advisor. In honor of our 150 years, for the months of Jan and Feb we will be offering $150 off the total of any two night stay. A savings of $75 a night! Come join in the celebration of one of the South’s great historic landmarks and sit by our roaring fire with a great glass of wine or a slice of our famous bourbon ­pecan pie.